Sports Direct is forecast to post profits of more than £100 million when it unveils full-year results this week. The chain’s profits suffered in 2016-17 but it is expected to buck the current high street trend by revealing a jump in profits on Thursday. Forecasts estimate an underlying profit after tax of £103.18m, which would be an increase of 55.1 per cent from £66.5m the previous year. Revenues for the year are expected to show an increase of 3.9 per cent at £3.37 billion. 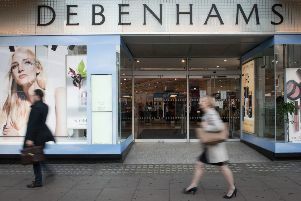 Chief executive Mike Ashley claimed he wishes to transform the retailer into the “Selfridges of sport” but has shifted his focus to other brands recently, investing in Debenhams and House of Fraser.